Eyelid surgery, technically known as blepharoplasty, is a procedure that removes fat, excess skin and muscle from the upper and lower eyelids. The surgery can correct drooping upper lids and puffy bags under the eyes that make you appear old and tired and that sometimes interferes with your vision. Aesthetic eyelid surgery has the effect of making you look more rested, refreshed and alert. The results of aesthetic eyelid surgery are usually long-lasting, removal of fat from your eyelids, which is usually the cause of puffiness and bags, is permanent, and these conditions generally will not recur. The old techniques of performing eyelid surgery by over-excising skin, muscle and fat only achieve in making the eyes look older more rapidly, and Dr. Wilson performs only the modern surgeries that correct the problems resulting from aging. 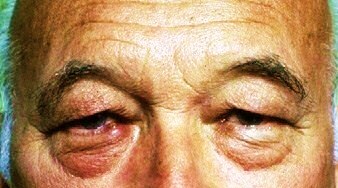 but if droopy, baggy eyelids run in your family, you may decide to have the surgery at a younger age. Many patients decide to have the surgery performed at an early age as it is one of the first features of the face to show signs of aging. include thyroid problems, dry eye or lack of sufficient tears, high blood pressure or other circulatory disorders, cardiovascular disease and diabetes.Dr. Wilson may decide to refer you to an ophthalmologist before you have surgery. During your consultation, you will learn about the surgery, its limitations and risks, and discuss your needs and concerns. Dr.Wilson will carefully examine your eyelids to assess the shape of the lids and asymmetries to determine what type of procedure would best maximize your result. You may also schedule an additional consultation to view computer imaging so that you can visualize the results of the eyelid techniques that Dr. Wilson has specifically designed for your surgery. In a typical procedure, Dr. Wilson will make incisions following the natural lines of your upper eyelid creases and just below the lashes on the lower lids. Working through these incisions he will separate the skin from the underlying fatty tissue and muscle, conservatively remove a minimal amount of excess fat and trim the sagging skin and muscle if needed. 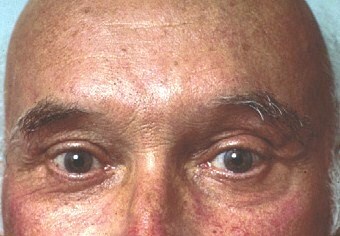 Often a “lateral canthopexy” is performed to tighten the outer part of the eye. This makes the eyes appear youthful and fresh. The incisions are then closed with very fine sutures. 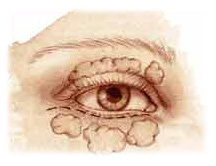 Fortunately, significant complications from aesthetic eyelid surgery are infrequent. 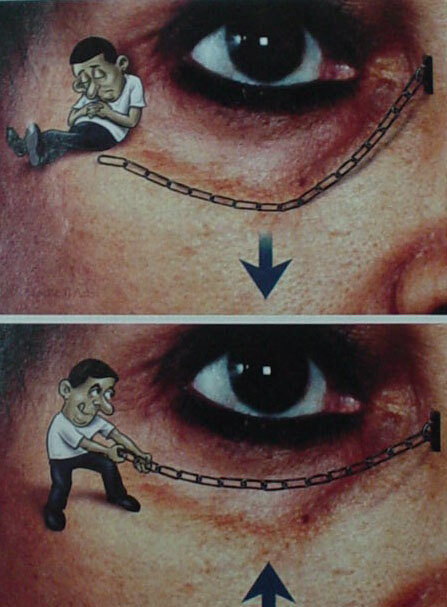 Every year, many thousands of people undergo eyelid surgery successfully, without experiencing any major problem. Some of the potential complications that may be discussed with you include a feeling of dryness or irritation in the eye that requires treatment or impaired eyelid function that sometimes may need a few weeks to resolve. Lower Eyelid Surgery: This 41 year old woman desired eyelid rejuvenation to remove the bags in the lower lid and make her eyes look less tired. Dr. Wilson performed lower eyelid surgery and restored the crease in the upper eyelid. 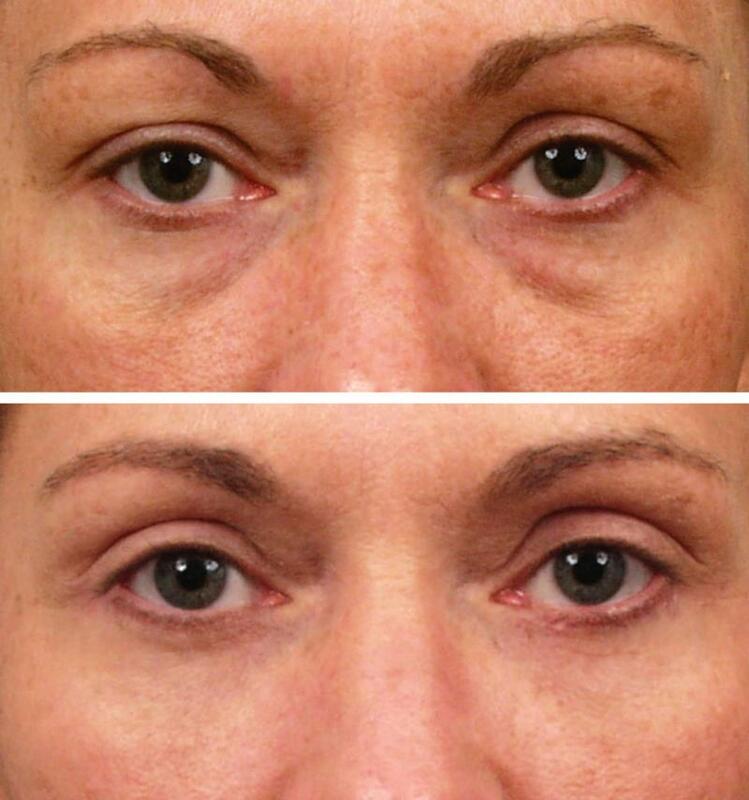 Upper and Lower Eyelid Surgery: This 48 year old woman desired eyelid rejuvenation to make her eyes look less tired. Dr. Wilson performed upper and lower eyelid surgery. 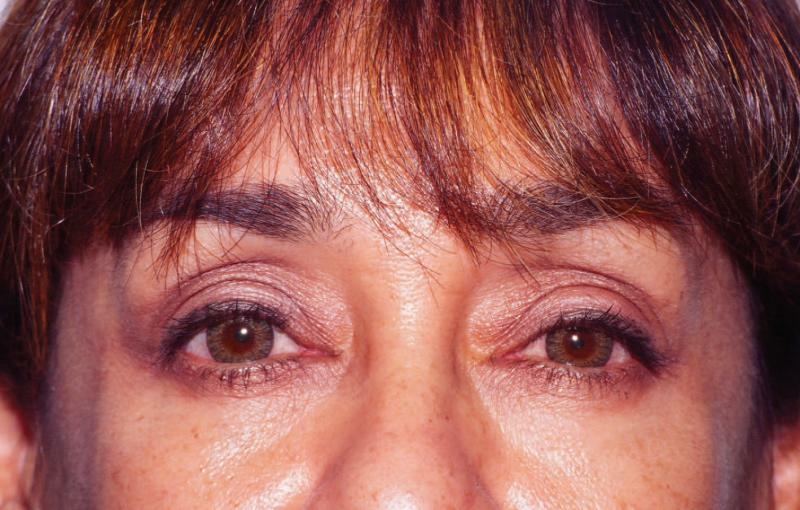 Upper and Lower Eyelid Surgery: This 61 year old woman desired eyelid rejuvenation to make her eyes look less tired. Dr. Wilson performed upper and lower eyelid surgery (blepharoplasty) through a skin approach, and totally cured that tired old look in the eyes. Lower Eyelid Surgery: This 41 year old woman desired eyelid rejuvenation to remove the bags in the outer aspect of the eyelids and make her eyes look less tired. 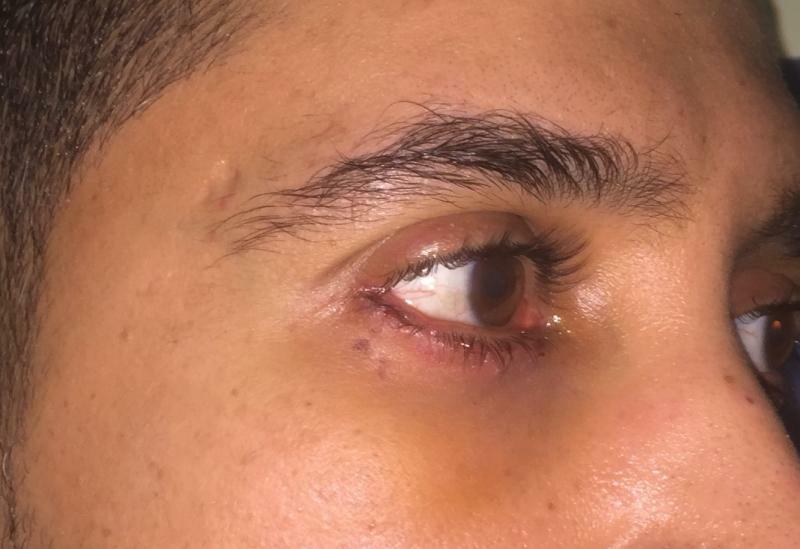 Dr. Wilson performed lower eyelid surgery (blepharoplasty) through a skin approach, and totally cured that baggy look in the eyes.﻿ Note the invisible scar. 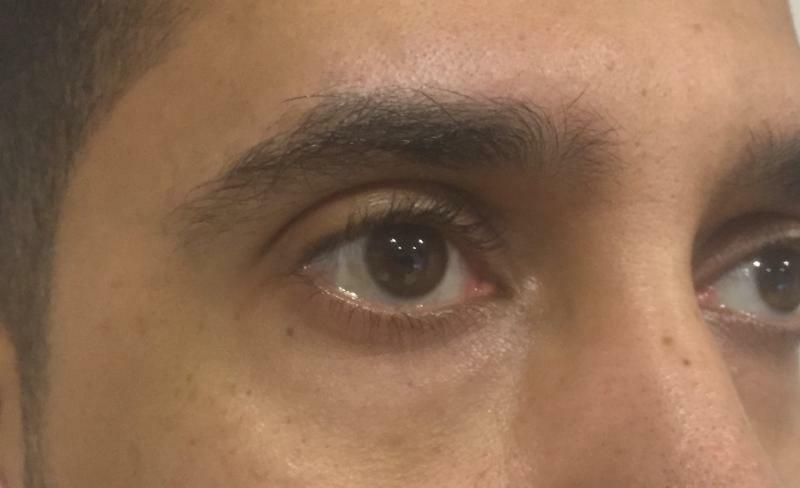 Upper and Lower Eyelid Surgery: This 52 year old man did not like the bagginess look of his eyelids. Dr. Wilson performed upper and lower eyelid surgery with minimal fat removal to refresh his appearance. 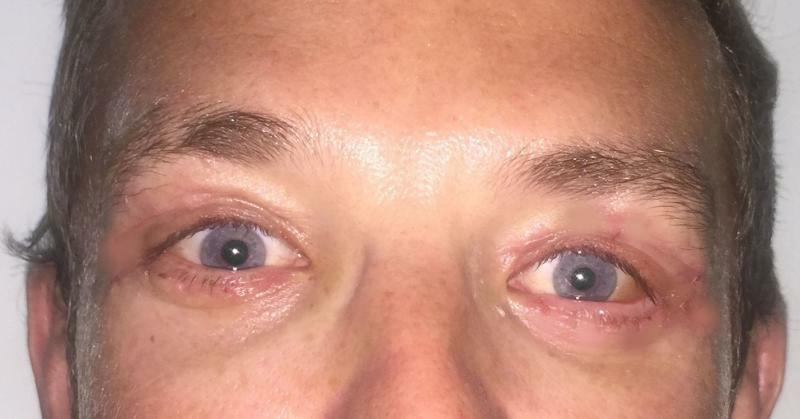 Lower Eyelid Surgery to remove injected silicon: This 32 year old man had silicon injected by a dermatologist to treat a tear-trough deformity. It caused repeated inflammations, darkness in the skin and swelling in the lid margin. Dr. Wilson performed a delicate surgery to remove the injected silicon and restore a appearance of the eyelid. ﻿The silicon particle on the lid margin. Lower Eyelid Surgery and Brow Lift: This lady had baggy lower eyelids and forehead wrinkles. A brow lift and lower blepharoplasty were performed on her. 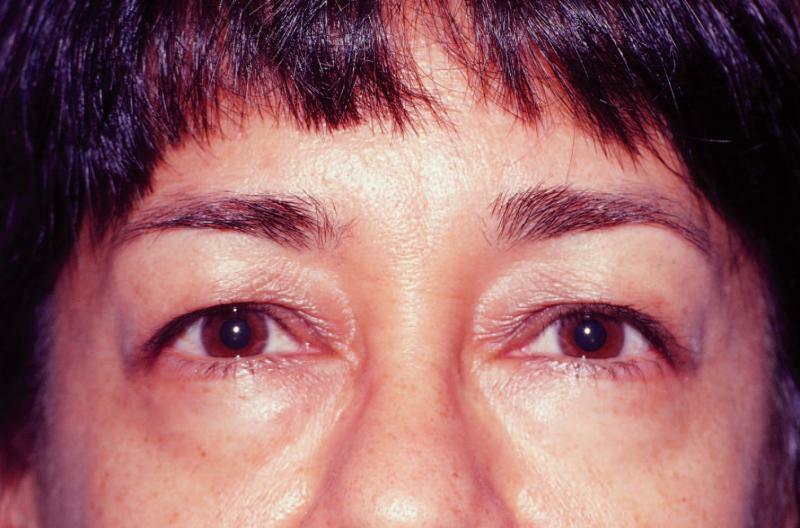 Upper and Lower Eyelid Surgery: This 63 year old woman desired eyelid rejuvenation to make her eyes look less tired and remove the overhanging part of the upper eyelid. 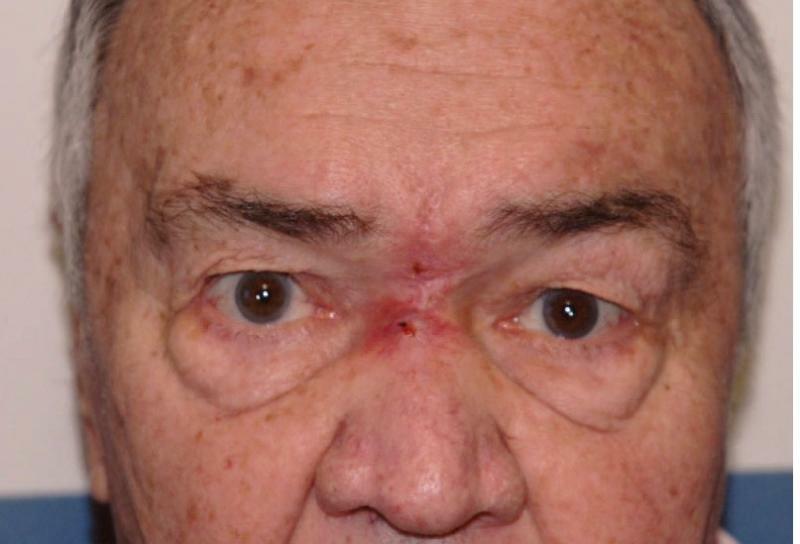 Dr. Wilson performed upper and lower eyelid surgery.﻿ Note the nearly invisible scars, removal of bags and wrinkles and much younger appearance. 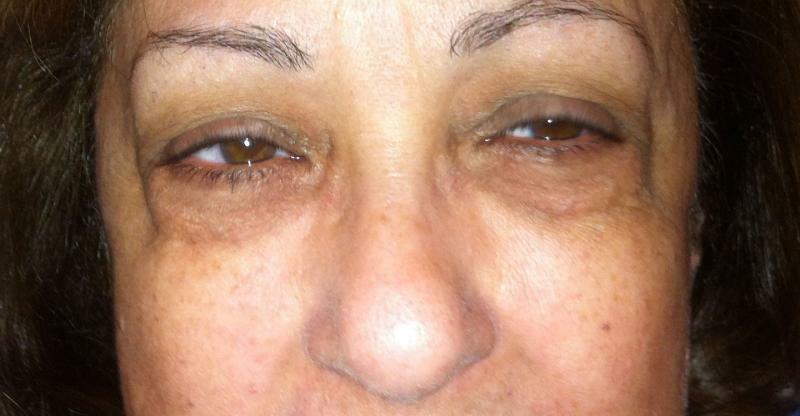 Lower Eyelid Surgery: This 38 year old woman had baggy lower eyelids and lower blepharoplasty was performed on her. 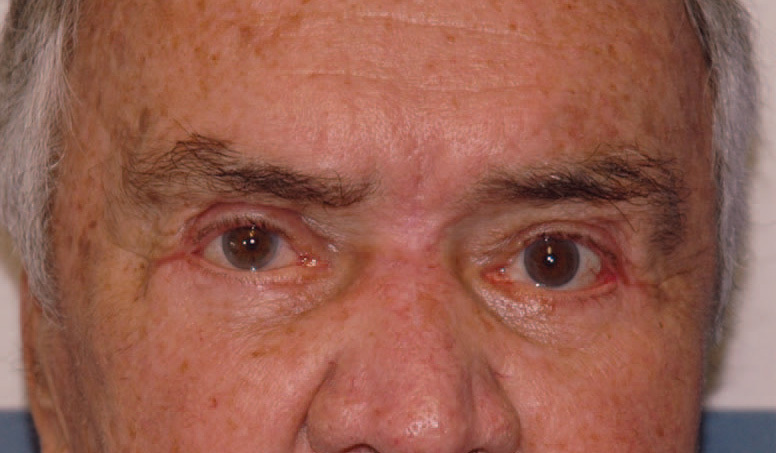 Upper and Lower Eyelid Surgery: This 72 year old man did not like the bagginess look of his eyelids. Dr. Wilson performed upper and lower eyelid surgery with fat removal and eyelid recontouring to refresh his appearance.